In the negotiations for the restoration of Charles II, Bates took part. Royal favour came to him, and he was appointed one of the royal chaplains. In 1660 he acted as one of the commissioners of the Savoy conference. In 1661 Cambridge conferred on him the degree of D.D. by royal mandate. At the same time he was urged to accept the deanery of Lichfield and Coventry, but like Richard Baxter, Edmund Calamy the elder, Thomas Manton, and others in their position, he declined office. Later, Bates conducted the discussion between the nonconformists and John Pearson, Peter Gunning, and Anthony Sparrow. In 1665 Bates took the oath imposed by the parliament which met at Oxford ‘that he would not at any time endeavour an alteration in the government of church or state.’ In this he was supported by John Howe and Matthew Poole, although Richard Baxter refused it. In 1668 some of the more moderate churchmen endeavoured to work out a scheme of comprehension that would bring Presbyterians back into the Church of England. In this Bates, Baxter, and Manton co-operated. But no agreement could be reached. A little later he joined in the presentation of a petition to the king for ‘relief of nonconformists.’ His majesty received him graciously, but nothing came of it. Again in 1674, under the conduct of John Tillotson and Edward Stillingfleet, a fresh effort was made towards comprehension through Bates, but once more nothing came of it. After the accession of James II, the disabilities and sufferings of the nonconformists increased. Bates was at Baxter’s side when George Jeffreys browbeat and insulted Baxter and his associates. 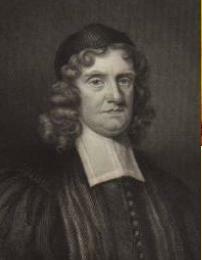 He successfully interceded with Archbishop Tillotson in behalf of Nathaniel, Lord Crewe, bishop of Durham, who had been excepted from the act of indemnity of 1690. [pdf web via Internet Archive] – Warning: entirely in Latin! Memoir of the Author – pdf, 15 pp. Treatise on the Existence of God – pdf, 55 pp. Treatise on the Immortality of the Soul – pdf, 48 pp. This is a continuation of the Treatise on the Existence of God. The Divinity of the Christian Religion – pdf, 72 pp. This is the final part of the Treatise on the Existence of God. The Harmony of the Divine Attributes, in the Contrivance and Accomplishment of Man’s Redemption by the Lord Jesus Christ – pdf, 368 pp. Sermons on the Forgiveness of Sins (Psalm 130:4) – pdf, 59 pp. The Sure Trial of Uprightness (Psalm 18:23) – pdf, 73 pp. The Great Duty of Resignation (Matthew 26:39) – pdf, 70 pp. The Danger of Prosperity (Proverbs 1:32) – pdf, 81 pp. Also available as a Digital Puritan Press reprint in the bookstore. Spiritual Perfection Unfolded and Enforced (2 Corinthians 7:1) – pdf, 240 pp. The Everlasting Rest of the Saints (Hebrews 4:9) – pdf, 111 pp. On Divine Meditation (Psalm 119:97) – pdf, 53 pp. On the Fear of God (Job 28:28) – pdf, 63 pp. The Four Last Things: Death, Judgment, Heaven, Hell (Hebrews 2:15; Acts 17:31; Psalm 16:11; Mark 9:48) – pdf, 277 pp. An older source for many of the sermons is Sermons Preached on Several Occasions. God Is (or, A Sermon on the Existence of God) (Hebrews 11:6) – pdf, 31 pp. Sin is the Most Formidable Evil, part 1 (Genesis 39:9) – pdf, 14 pp. Sin is the Most Formidable Evil, part 2 (Genesis 39:9) – pdf, 20 pp. How Men Are Said to Be Sons of God (1 John 5:2) – pdf, 13 pp. How to Bear Afflictions, part 1 (Hebrews 12:5) – pdf, 8 pp. How to Bear Afflictions, part 2 (Hebrews 12:5) – pdf, 11 pp. The Marriage Feast, part 1 (Luke 14:23) – pdf, 14 pp. The Marriage Feast, part 2 (Luke 14:23) – pdf, 14 pp. The Marriage Feast, part 3 (Luke 14:23) – pdf, 8 pp. The Marriage Feast, part 4 (Luke 14:23) – pdf, 15 pp. The Marriage Feast, part 5 (Luke 14:23) – pdf, 21 pp. A Sermon Upon the Death of the Queen (Psalm 102:26-27) – pdf, 25 pp. A funeral sermon for Queen Mary. Thomas Manton’s funeral sermon (1 Thessalonians 4:17) – pdf, 35 pp. Thomas Jacomb’s funeral sermon (John 12:26) – pdf, 51 pp. Richard Baxter’s funeral sermon (Luke 23:46) – pdf, 50 pp. David Clarkson’s funeral sermon (John 14:1) – pdf, 45 pp. Benjamin Ashurt’s funeral sermon (Revelation 22:12) – pdf, 30 pp. William Bates’ funeral sermon (John 11:16) – pdf, 39 pp. Want to discuss something pertaining to William Bates? Leave a public comment below (subject to moderation), or send a private message to the webmaster.